Get excited… barbie season has landed! Bust out the tongs, season your steaks, throw the cover off your trusty old 4-burner and…oh, it doesn’t look like you remember it, does it? It’s covered in rust, there’s a wasps nest growing on the frame, and globs of unidentified semi-solid matter on the hot plate. It sounds like it’s time to buy a new BBQ! But how do you choose which one? BBQs are no longer the simple machines they once were; there are now a multitude of sizes, types and optional extras available. Well fear not; if you follow this simple guide and do a little bit of homework, you can rest assured that you will invest your money wisely in a BBQ that is suited to your specific needs. As with any significant purchase, the best place to start is to set a budget. In doing so however, you also need to consider the old adage: you get what you pay for. Remember that while most BBQs look similar in the shop front, they certainly won’t a couple of years down the track when the cheaper models are rusting and struggling to fire. The best way to know how long a BBQ might last is to look at the warranty period. Generally, if the manufacturers are confident that it will last a certain amount of time, then you can be too. Also consider the maintenance requirements of the BBQ; if maintained correctly, you should get many more years out of your BBQ than the length of the warranty. 1. How many people will I be cooking for? 2. Where will I be storing and cooking my BBQ? 3. Will I be taking it anywhere? However, it’s no good buying an entire outdoor kitchen if you live in an apartment or you want to take it camping. Measure up the size of your storage space, cooking area and if relevant, the boot of your car, so that you can select a BBQ to match. 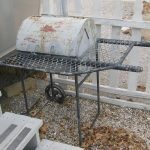 Naturally, you’ll want your BBQ to have a long and happy life, and the biggest threat to that happening is rust. While rust is a greater concern in certain environments, such as within 5 kilometres of the ocean or in humid areas, it can and will take hold almost anywhere. 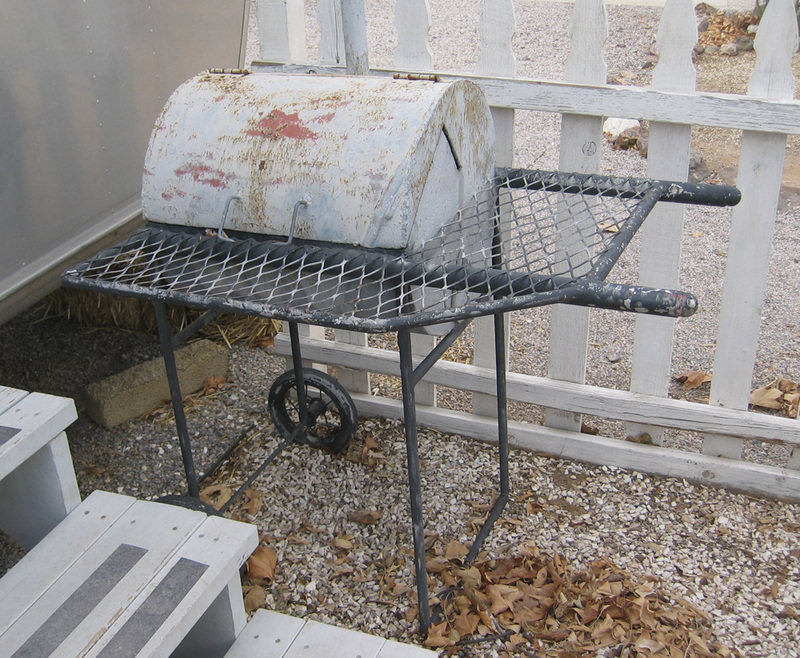 Precautions such as storing your BBQ in the shed and using a well-fitted cover will help, but nothing is as effective at warding off rust as a BBQ constructed from a highly rust-resistant material, such as stainless steel. Ok, so by now we’ve worked out how big our new BBQ is going to be and what it’s going to be made of, but how are we going to fire it up? The three most common types of BBQ are gas, charcoal and electric – each have their own quirks, advantages and disadvantages. Gas BBQs are by far the most commonly bought BBQ in Australia because they are quick and easy to use and maintain. Charcoal BBQs on the other hand take 2-3 times longer to heat up, require more skill and experience to maintain a constant heat, and more effort to keep them clean. However, many BBQ aficionados would argue that these trade offs are all worth it for the traditional rich, smoky flavours they infuse the food with. Electric BBQs are becoming increasingly popular due to their simplicity and portability. Like gas, they are easy to light, operate and clean. The downside is that the food cooked on them tastes the least “barbecued”. 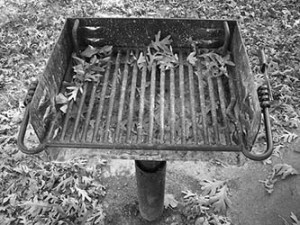 So now that you know what to look for and what you want in a BBQ, the only thing left to do is to find it and buy it. In terms of finding it, don’t be overwhelmed by the large number of models available. Don’t be daunted by the optional extras. Just consider what we’ve said above in terms of what is the right BBQ for YOU. In terms of buying it, remember it’s 2013; if you’re not shopping online, you’re not getting the best price. My name is Marian O’Neill and I am the owner of allBBQs.com.au. My working life commenced as a primary school teacher and later, some years as a stay-at-home Mum. However the majority of my career has been in business with my husband, as a Practice Manager, and later General Manager of our spectacle lens manufacturing business. I love barbecue cooking and decided to follow my interest and open an online BBQ superstore after much research revealed how difficult it was to find Australian made BBQs. 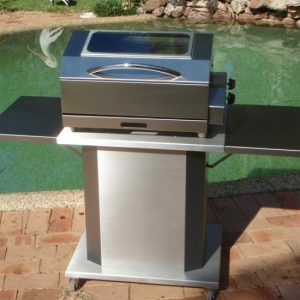 At allBBQs.com.au we specialise in Australian made BBQs, woodfired pizza ovens and outdoor kitchens. We strive wherever possible to provide high quality Australian made products. Great post Marian, thank you for sharing your knowledge. I wish I knew all this before I got my BBQ, would have made a lot better decision. Hi Marian, thanks for that info. Nothing says Summer like a sausage sizzle! Can’t wait to fire up our barbie this weekend. Looking forward to reading your posts about wood fire pizza ovens.